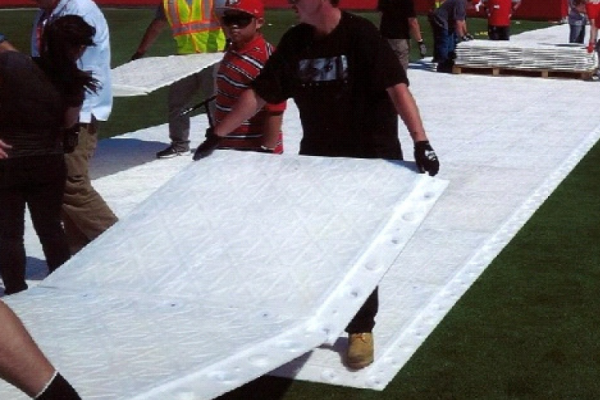 Terratrak plus® is the ultimate floor protection from heavy loads. 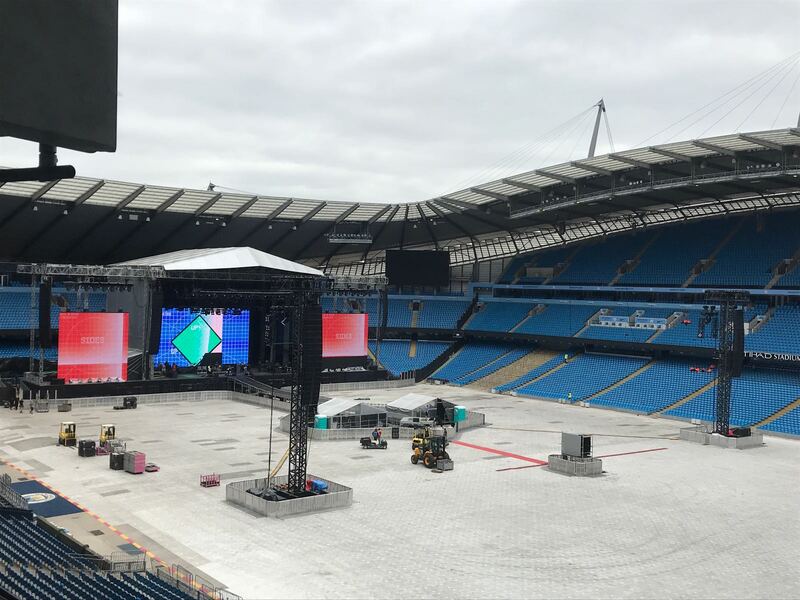 It is specifically designed for use in large event arenas during event load-in and load-out where the need for using heavy machinery is crucial. 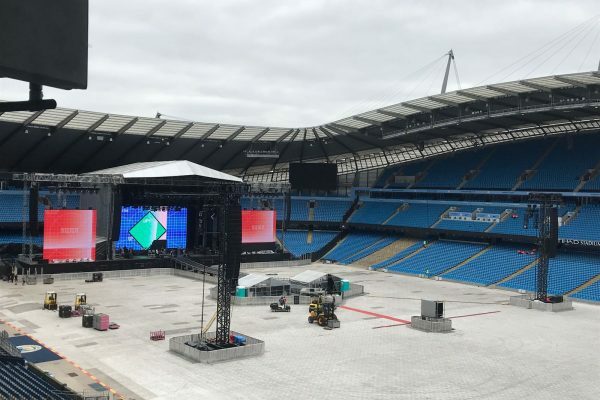 For years Promoters had been looking for a product which would enable them to bring 150 tonne cranes, forklifts and trucks onto a stadium field without causing damage. With terratrak plus®, this situation has changed. 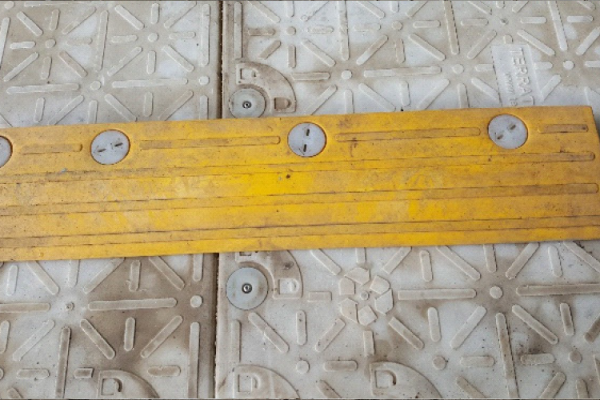 This heavy flooring system creates a continuous surface with no gaps due to its overlapping design and unique locking system. It is bolted in panels of 2 during assembly, using bolt systems made from the same material as the camlocks. 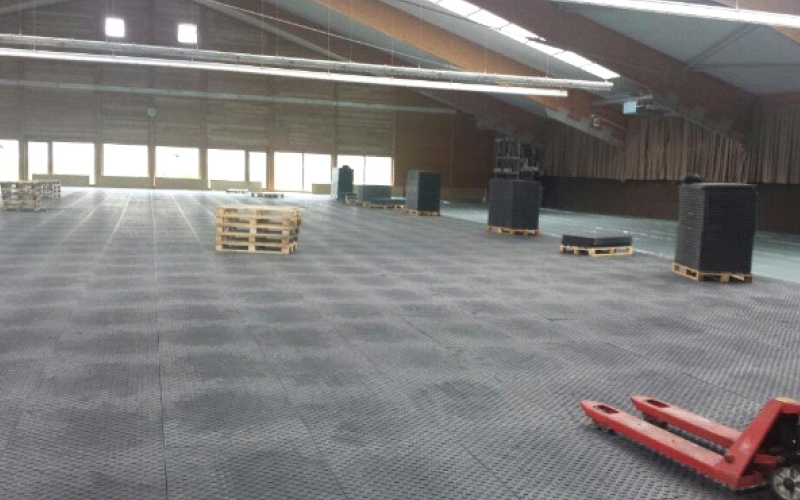 This allows for an area of 2.42m² (26ft²) to be covered with each panel laid by 2 people. 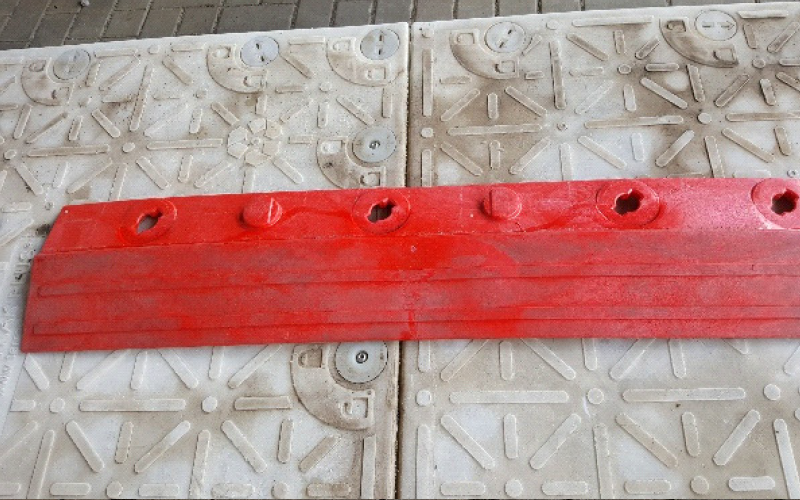 Panels are connected to their adjacent counterparts by means of very strong vertical locking cams manufactured from a special nylon which is as strong as steel but does not bend or rust, and provides the strongest possible panel connection. 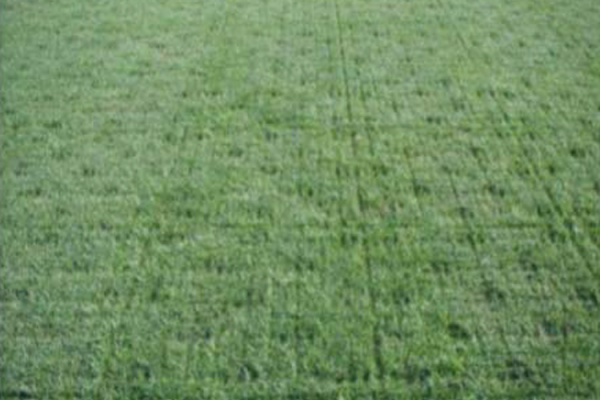 Due to the light , air and water permeability of the system, the underlying grass can remain healthy when covered for several days. Terratrak plus® locks seamlessly to terratrak-WF® and terratrak-NF® providing a complete temporary flooring solution. 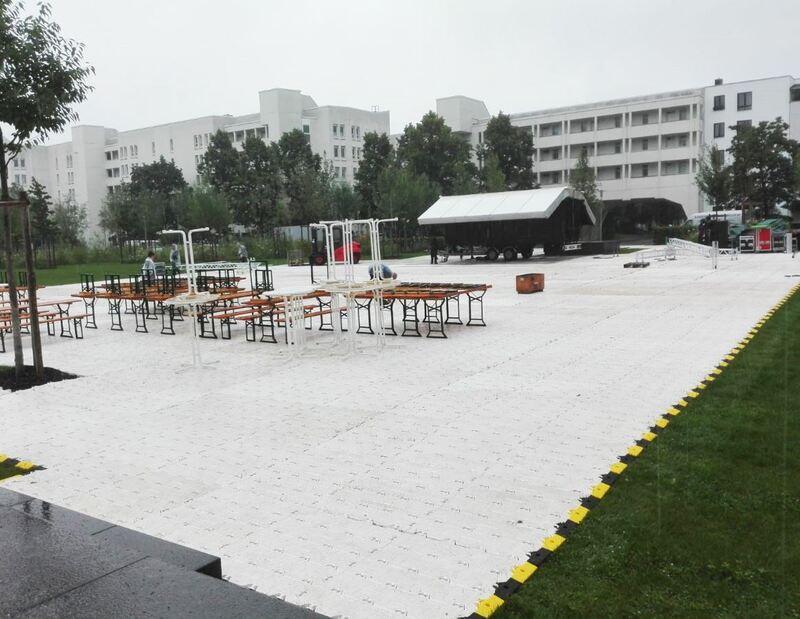 Terraflor ® is another solution in floor protection, incorporating many unique features. 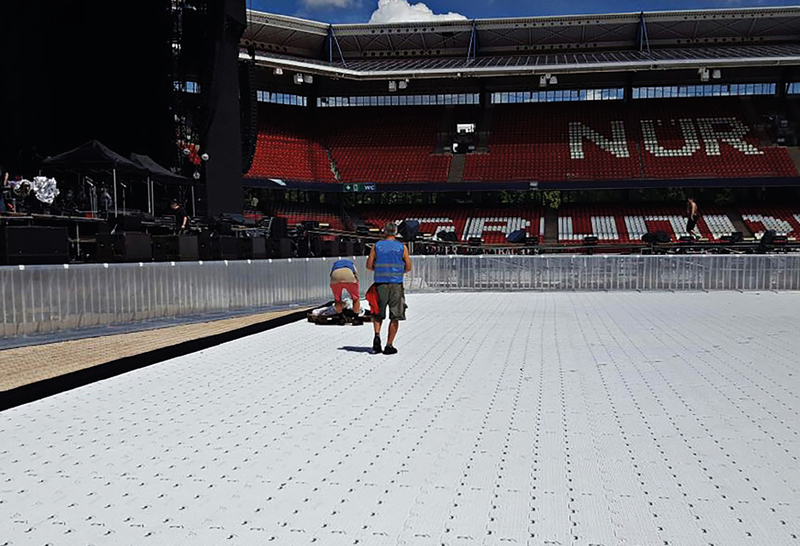 Terraflor ® is a quality temporary floor designed to protect the playing areas at stadiums when they are being used for non-sporting events. Terraflor ® incorporates an overlap on all sides, which is designed to prevent rubbish & non-desirable liquids from passing through to the turf. It also includes the capacity for expansion to avoid buckling under extreme temperatures. 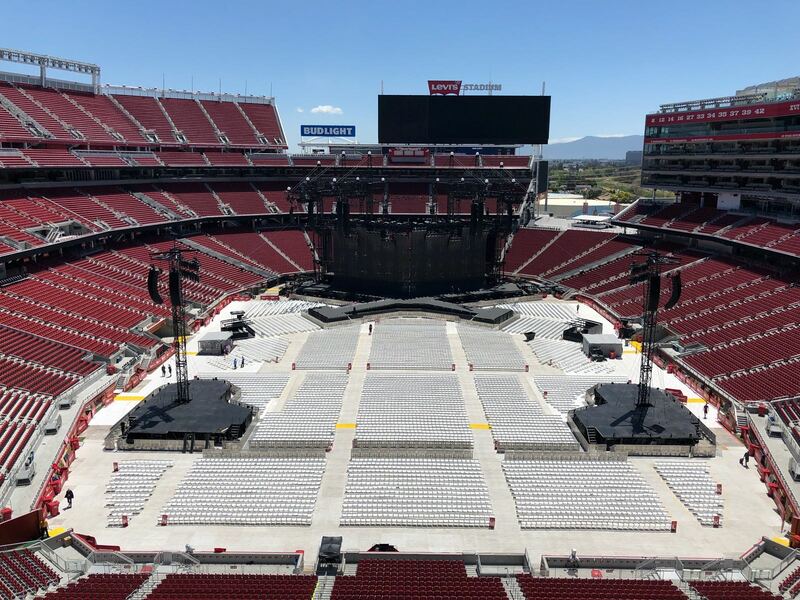 It allows the passage of air & light and creates a moist atmosphere under the tile, without any noticeable build-up of heat – essential elements for keeping grass healthy. 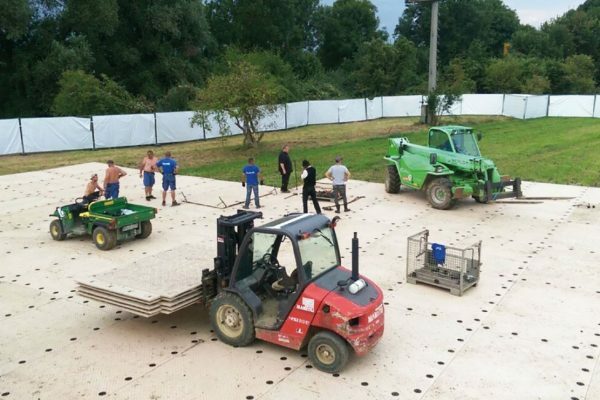 Stages can be built on top of terraflor® using timber pads to assist in spreading the load. 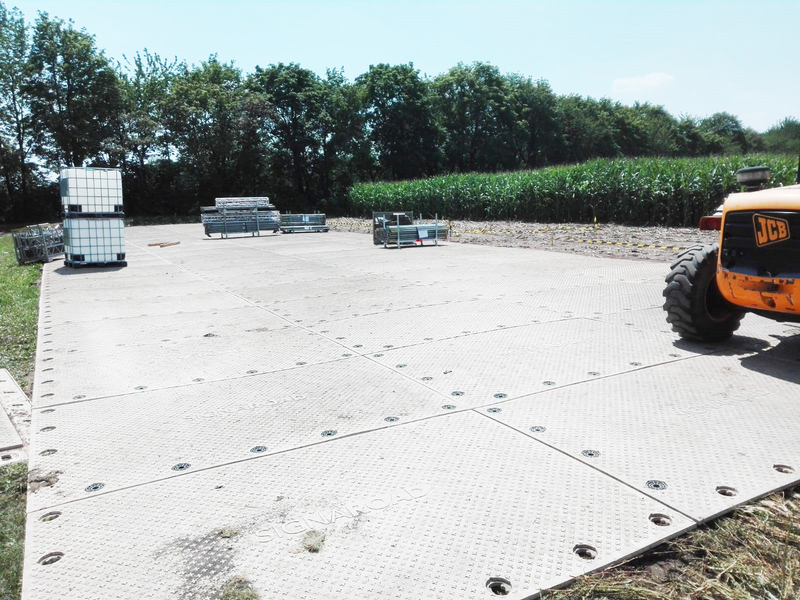 Lightweight vehicles eg gators/trolleys, with pneumatic tyres can be used on top of terraflor®. 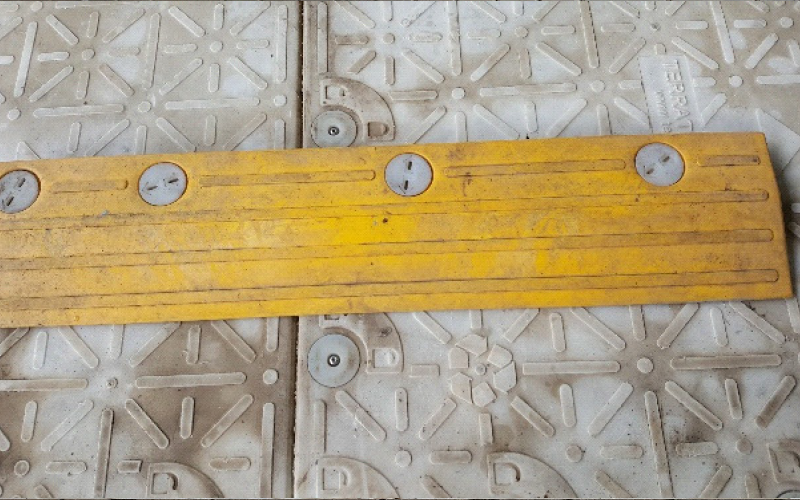 The system interlocks ensuring that there are no trip hazards. 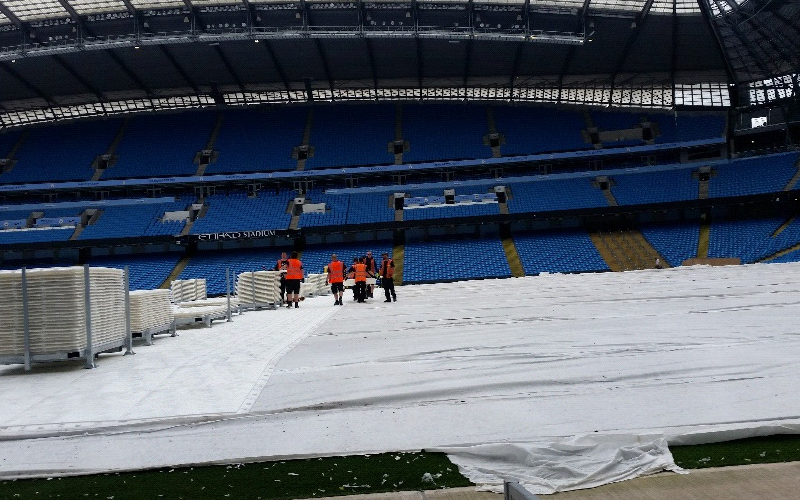 It also has a permanent non slip surface. 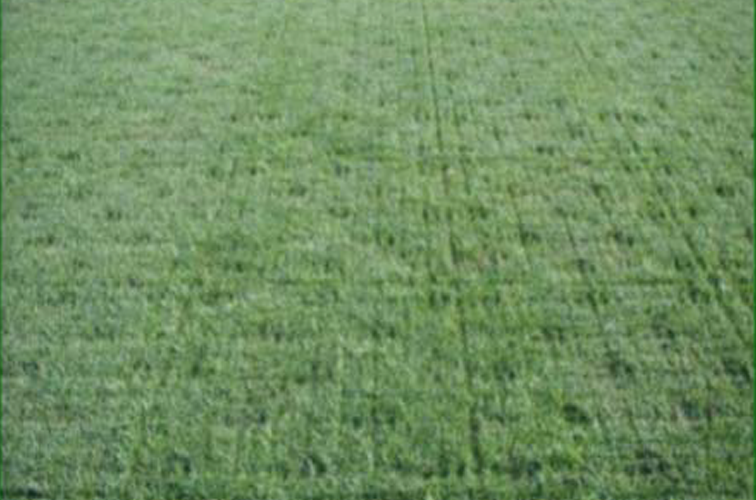 ensuring grass growth – without yellowing. 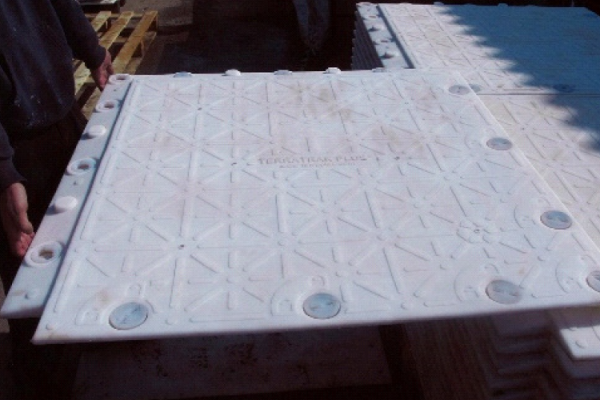 SignaRoad ™ is a heavy duty floor protection system designed for the heaviest loads. 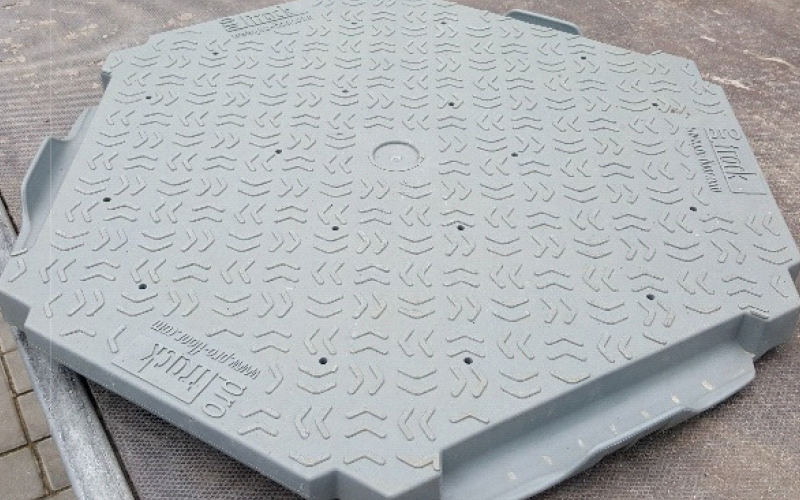 It has a tremendous weight bearing capacity whilst being quick to install with the ability to be laid on most surfaces. SignaRoad ™ offers a choice of two tread patterns: roadway and pedestrian. this offers dual purpose in the same area. 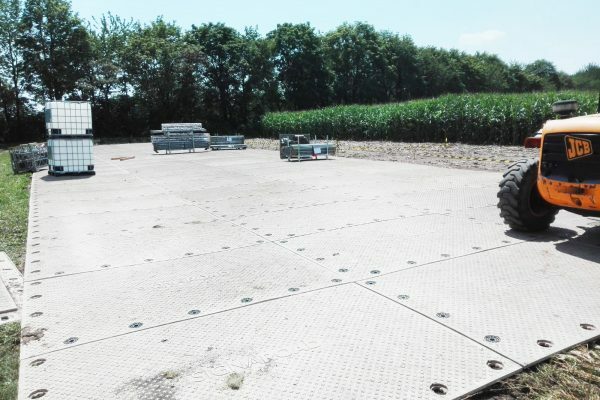 Ideal for Back stage pads at festivals and putting pathways next to car parks. 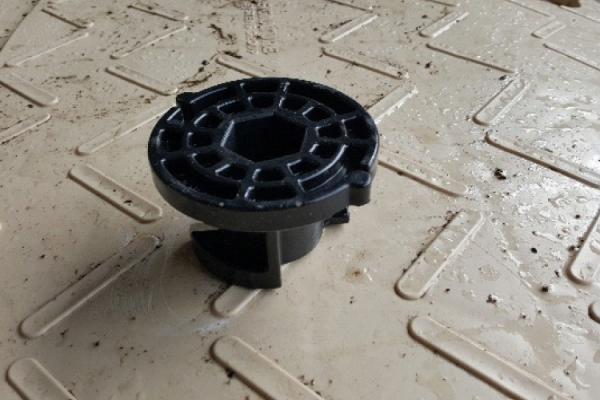 The locking system aligns the overlapping flanges to give a secure surface that does not allow mud or water to seep through. 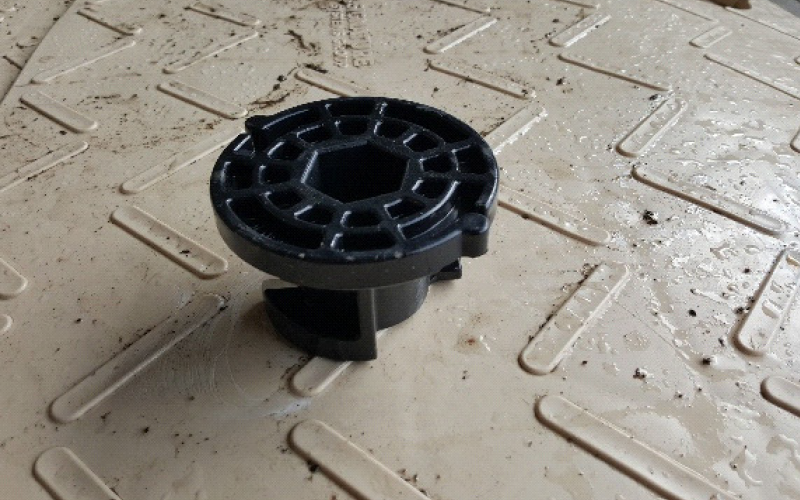 Once in place, the solid flange system provide unparalelled rigidity and strength. Signa Road can be configured to provide curved road ways if needed. 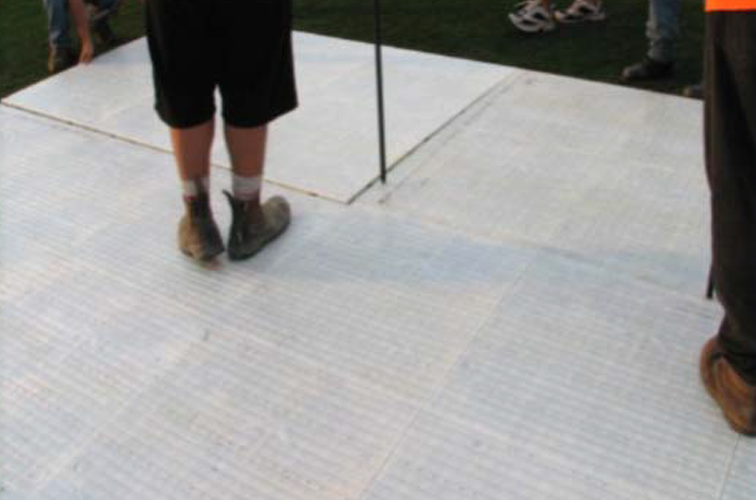 SignaRoad is an ideal solution for stage pads and back stage working areas. underneath. 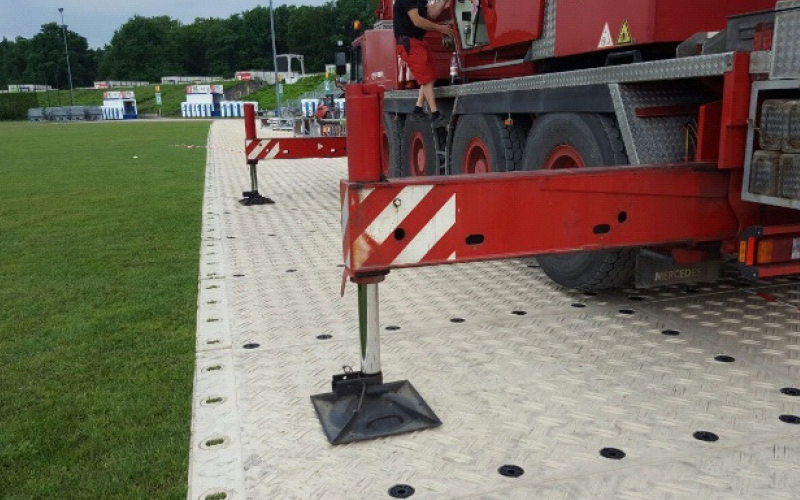 Supa-Trac is suitable for medium – heavy loading and creates a firm surface for walkways, roads, temporary structures and car parks. 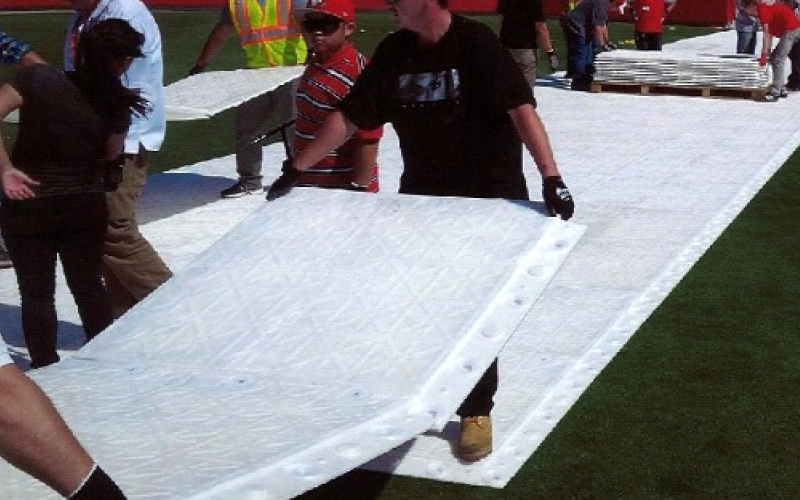 It is the fastest ground cover solution of its kind in the market with no need for specialised tools or staff expertise. This is due to its patented click joining system of the modular panels. 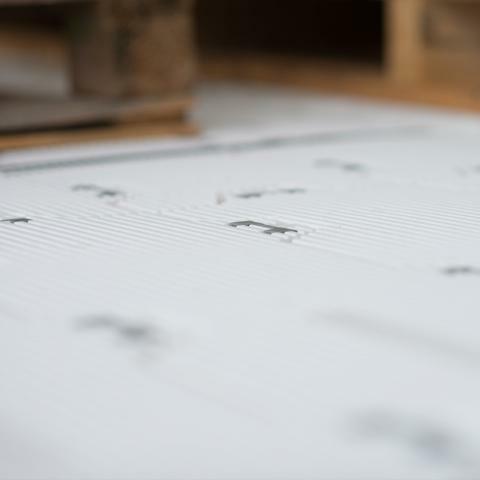 Supa- Trac allows full air circulation across the covered surface and the panels have a drainage system, allowing safe coverage for several days. 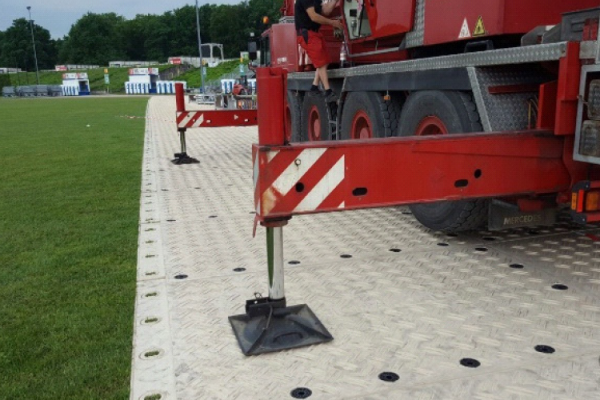 Ground protection system for light and medium loads. Suitable for use on a level ground. Color: gray. 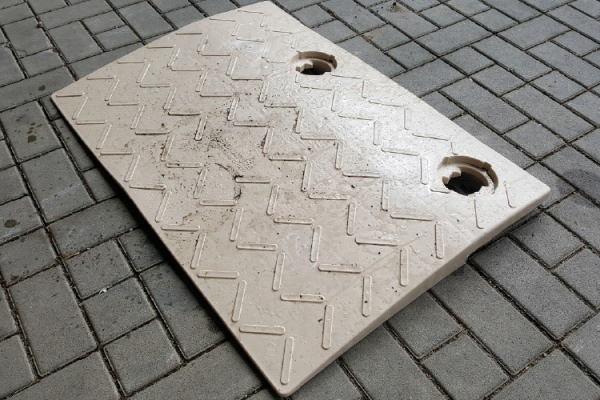 Hexagon plates are very suitable for pedestrian walkways, event and exhibit space on level ground. 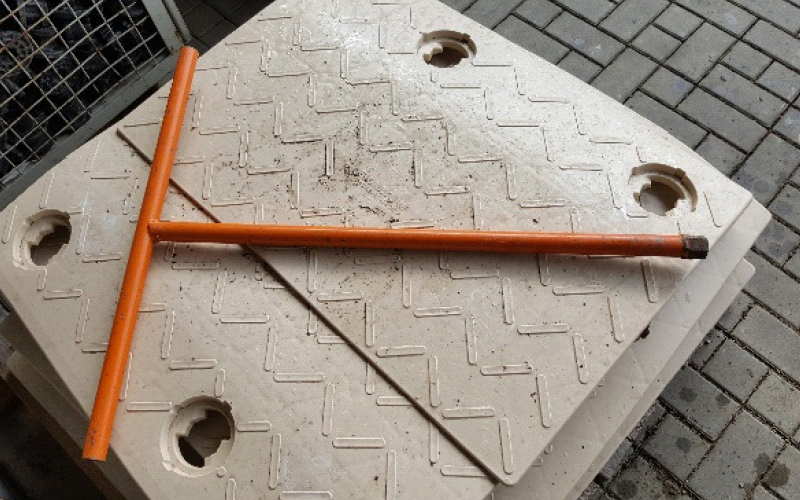 The material can be quickly and easily connected and is easy to install by hand. It requires no tools for assembly and disassembly. Transport takes place on pallets to save space. 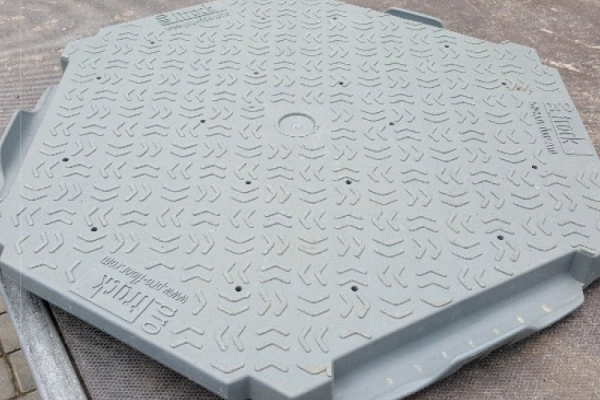 Hexagon plates have a slightly profiled, pedestrian-friendly surface. 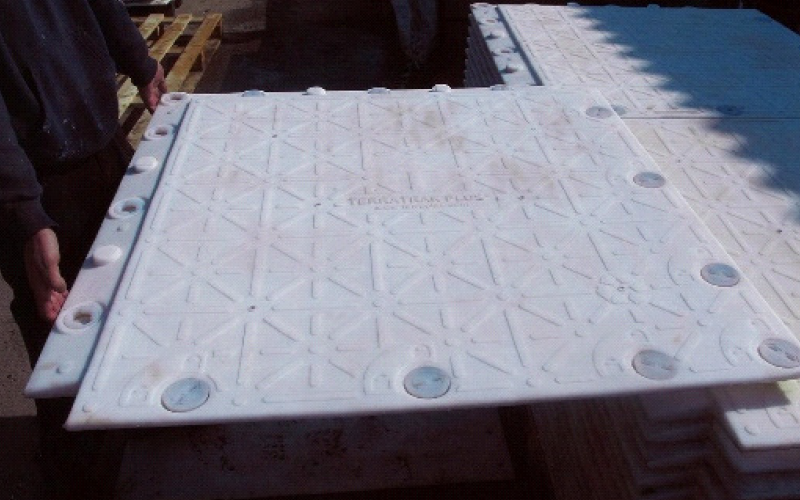 The robust heavy-duty floor plate Remopla consists of recycled PVC with UV stabilizers. It has a nubby surface that provides perfect support. 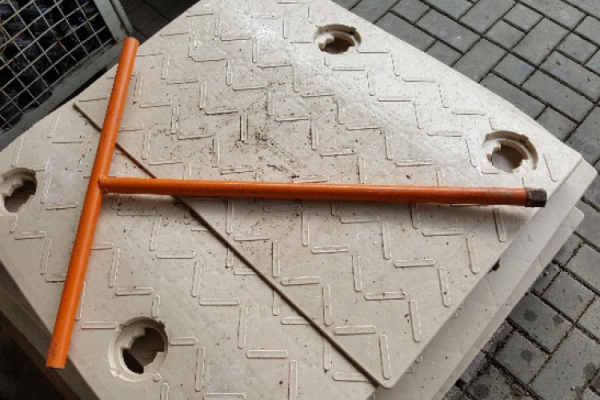 A fast installation and a good grip are guaranteed by the surrounding fold. 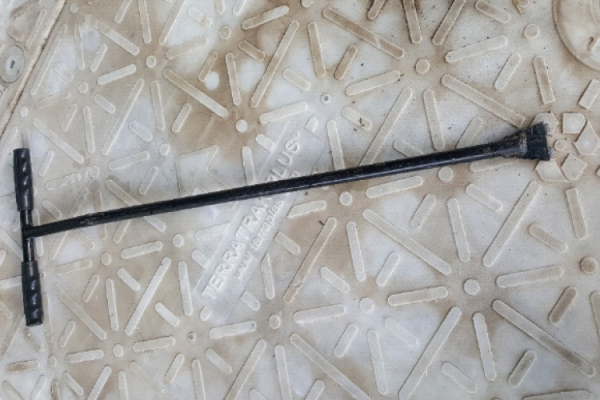 Remopla is well suited for fast and secure mounting of the hall floors, driveways, service roads, temporary parking lots, etc. 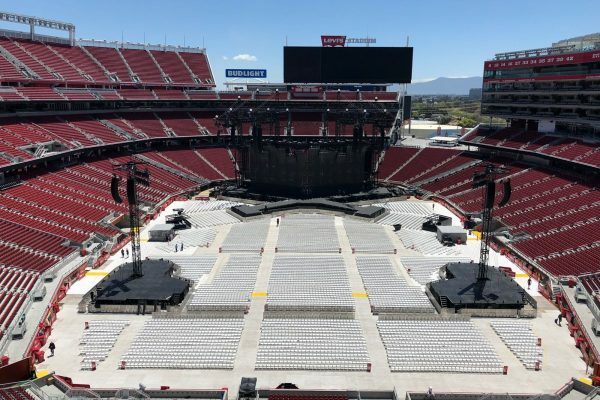 It may also serve as a base for grandstands, seating and stages. Furthermore, it can also be used as a base for materials to be applied, such as sand or earth. 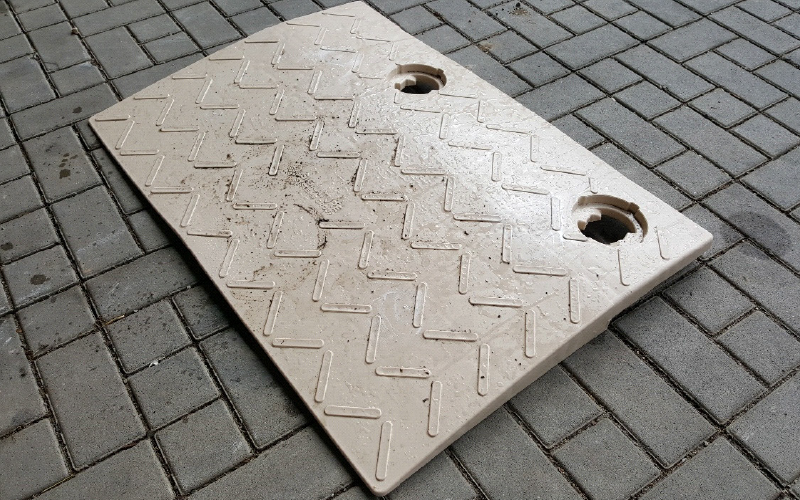 The floor panels are ideal for use on gravel, cobbles or grass because they are very robust and resilient. 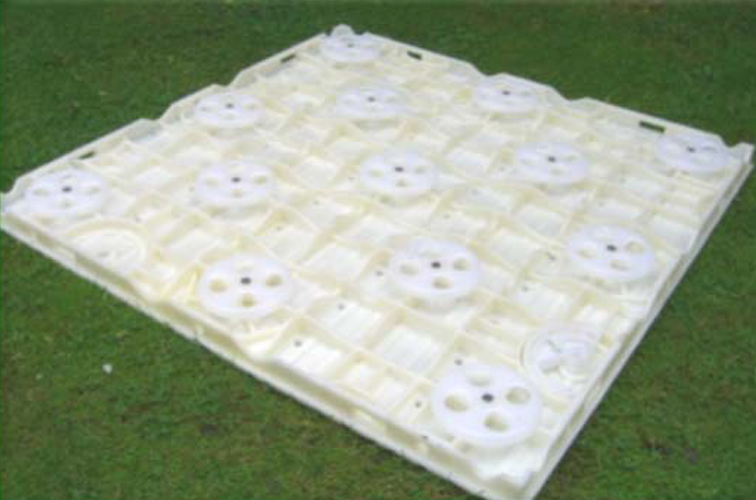 Lawn protection system for light use (pedestrians), on sensitive surfaces. Portafloor protects turf from pedestrian wear during events. It has a special subsurface structure that allows the ingress of air, water and UV rays to allow the underlying lawn to breathe during use. As a result, it can be used for several days without dmaging the grass. 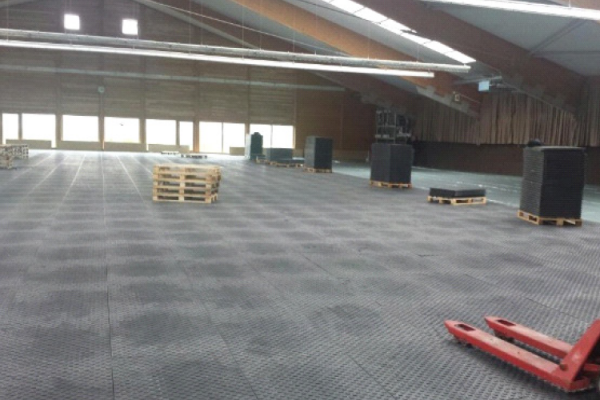 Portafloor can be built up and dismantled very quickly due to its roll out design. 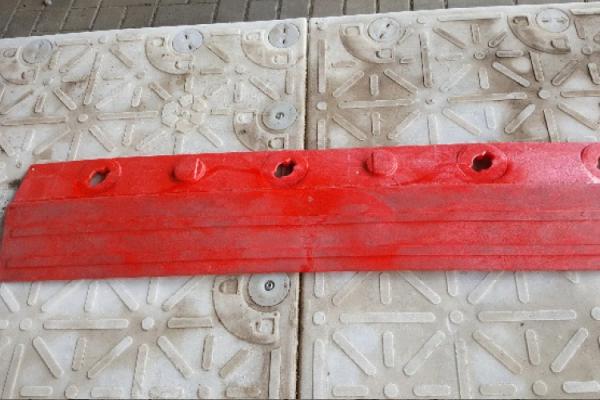 It easily follows undulation and uneven rough surfaces.